Do you like chicken teriyaki? If so, this blog post is perfect for you. 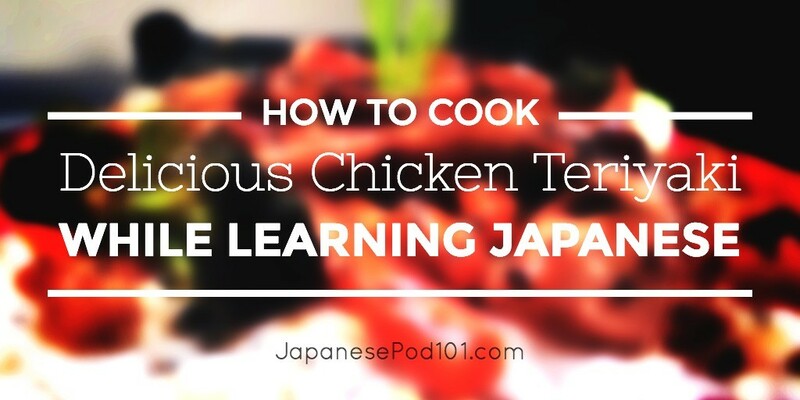 In this lesson, you’re going to learn an easy way to cook delicious chicken teriyaki while learning Japanese. Check out 鶏のテリヤキのレシピ (Tori no teriyaki no reshipi; chicken teriyaki recipe) below! Make sure to listen to the audio lesson and review the words and phrases too! 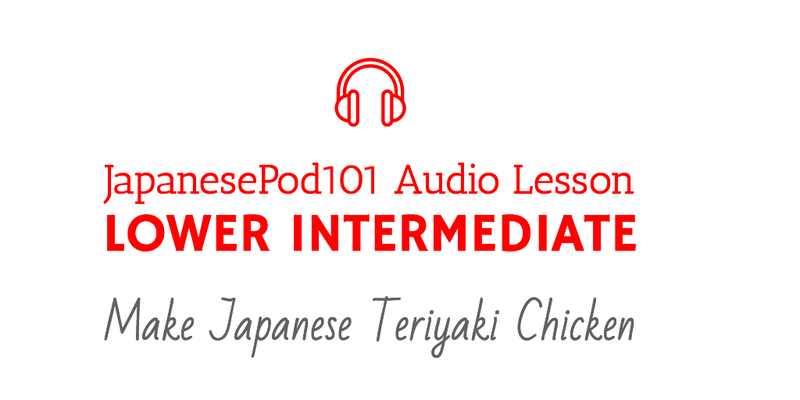 Listen to our Japanese audio lesson - How to Make Japanese Teriyaki Chicken! 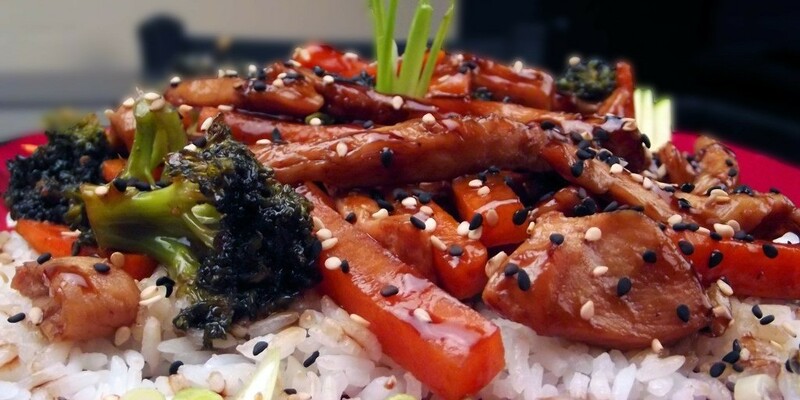 Teriyaki (テリヤキ) is one of the most well-known and popular cooking methods in Japanese cuisine. Fish or meat (or other types of ingredients) are marinated in sweet soy sauce and then grilled or broiled. We can write teriyaki in kanji (照り焼き), hiragana, or katakana. 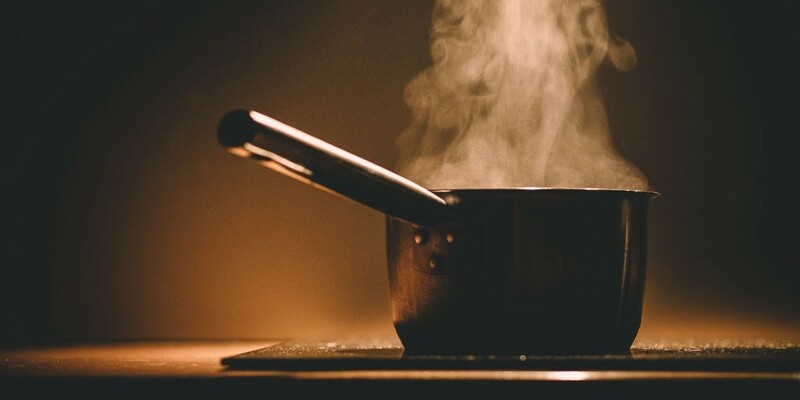 Learn more Japanese vocabulary about cooking! Let’s make Japanese chicken teriyaki! Do you have your ingredients? So let’s begin making it. Learn more Japanese vocabulary about kitchen items! 1) Mix together the soy sauce, the vinegar, and the sugar. Shōyu to, su to, satō o mazete kudasai. 2) Keep mixing until the sugar dissolves. Satō ga tokeru made, mazetsudukete kudasai ne. 3) Next, put the mixture and the chicken in the pan. Then turn on the heat. Tsugi ni, nabe ni tare to toriniku o iremasu. Sore kara, hi o tsukete kudasai. 4) When it’s boiling, turn down the flame. Let it cook for ten minutes. O-yu ga futtō shitara, hi o yowaku shite kudasai. 5) Turn it over and let it cook for another ten minutes. Hikkuri kaeshite, mata juppun nite kudasai. 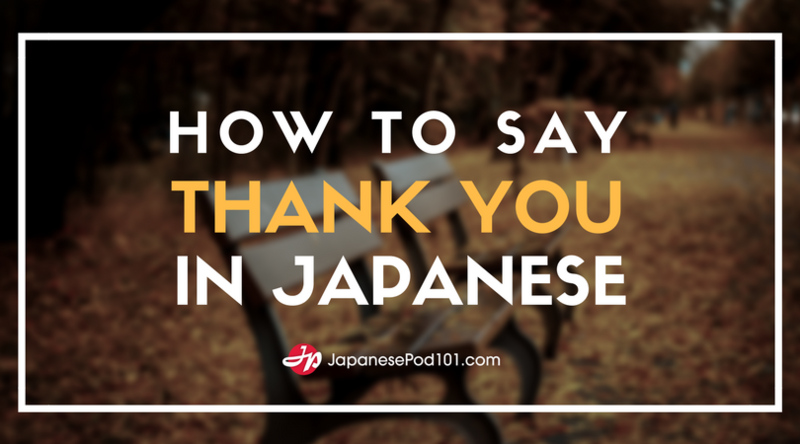 Click here to learn even more Japanese words and phrases! Want to keep this lesson? Right click here and save the MP3 file. In this lesson, you will learn how to use hajimeru, tuzukeru, and owaru in Japanese. The conversation takes place in a home economics class at school between a Japanese teacher and some students. The teacher is speaking formal Japanese to her students. The students are speaking formal Japanese with their teacher and informal Japanese to each other. We will also discuss Japanese cooking teriyaki style. Click here to get the PDF Lesson Notes! 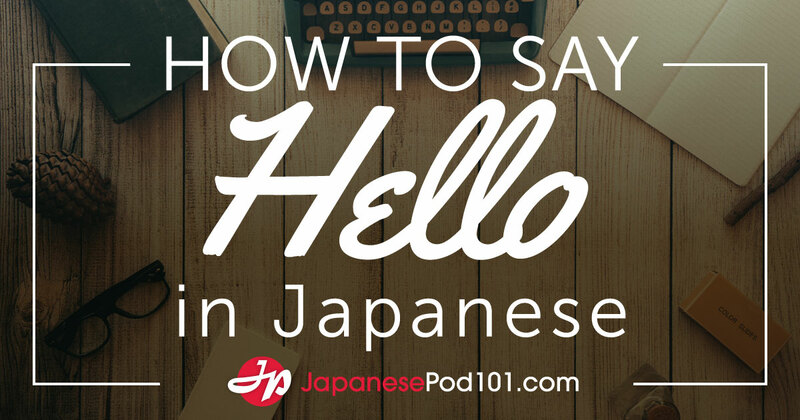 Visit us at JapanesePod101.com where you will find many more fantastic Japanese lessons and learning resources! Leave us a message while you are there! Right! This is why food can be a great way to connect with different cultures! Food can give us a little taste (literally) of life from around the world. 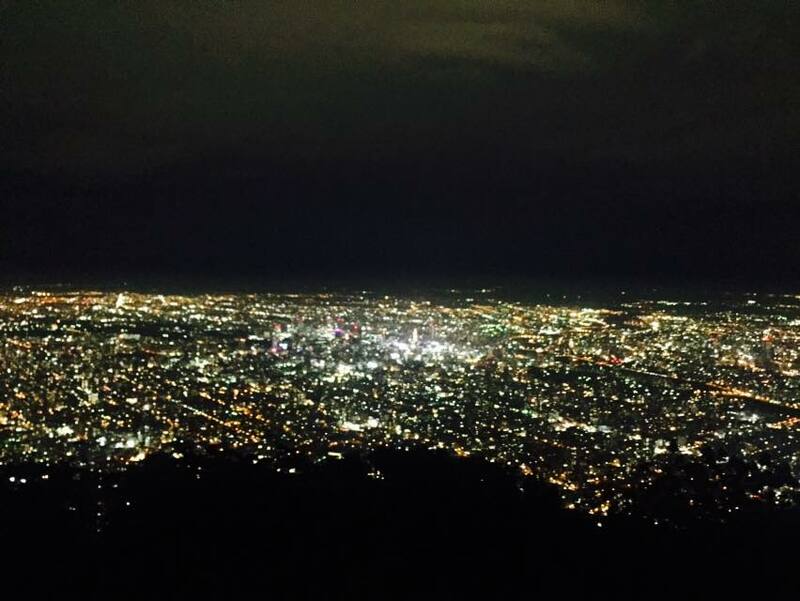 When you’re traveling, one of the funnest things to do is try the local restaurants and cafes. From Asia to America, every place has a few unique snacks to munch on! So what are some unique foods in Japan? Yep, that’s right. From Green Tea to Blueberry Cheesecake, there are dozens of interesting and quirky flavors of Kit Kat bars that can be found in Japan. They even have a Wasabi flavor for those of you who are brave enough to try! Kit Kat bars have become wildly popular in Japan. The name “Kit Kat” is often associated with the phrase “Kitto Katsu,” which is a way to wish someone good luck in Japanese. Due to this, the chocolate bars are often given as gifts during celebrations and events. This infamous dish made from fermented soy beans just might be the smelliest on the list. Nattō is known for its powerful odor and gooey texture. 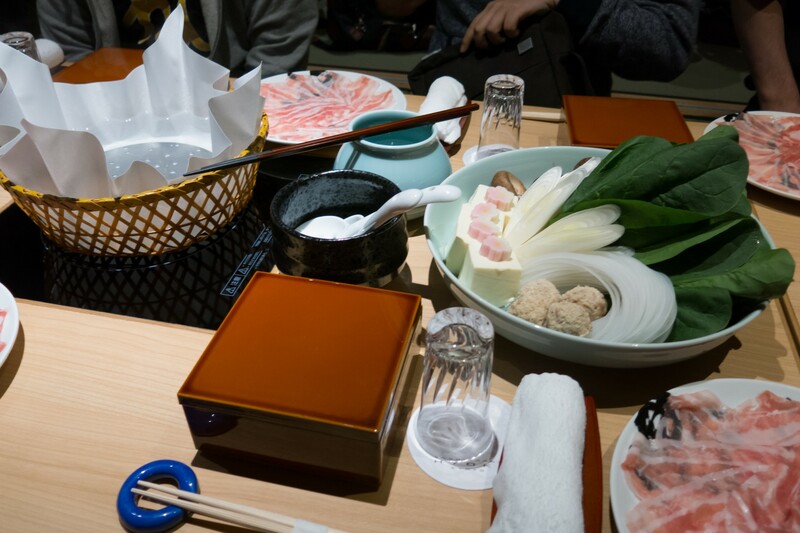 Nattō is considered a comfort food in Japan and locals are often quick to suggest the slimy-textured food to visitors. 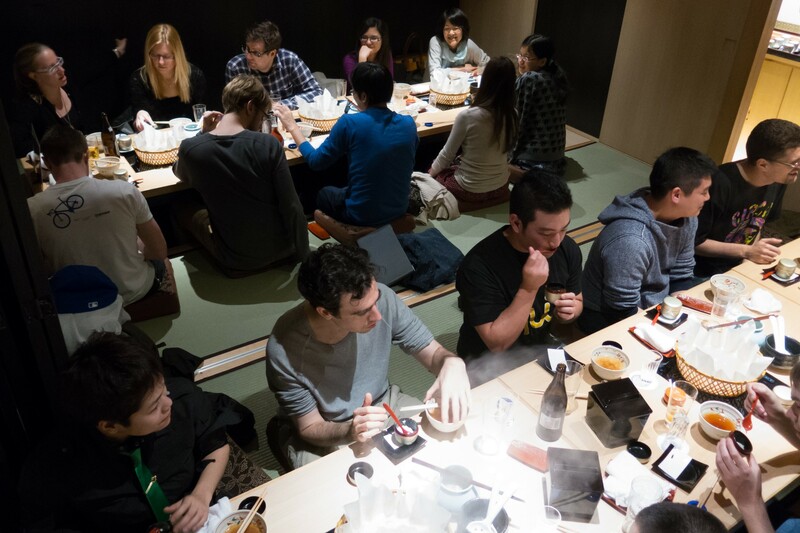 Occasionally, nattō can be found in soup, salad, and even sushi. 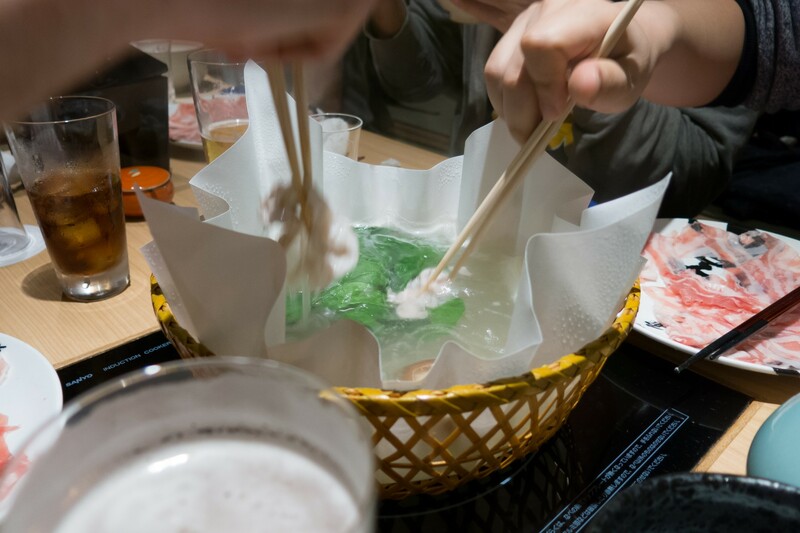 Nattō may taste disgusting, but it is definitely worth a try (just to say you did)! Another well-known dish in Japan. Thinly sliced beef is boiled in hot water at your table. The meat is fully-cooked within a few seconds and ready to eat! 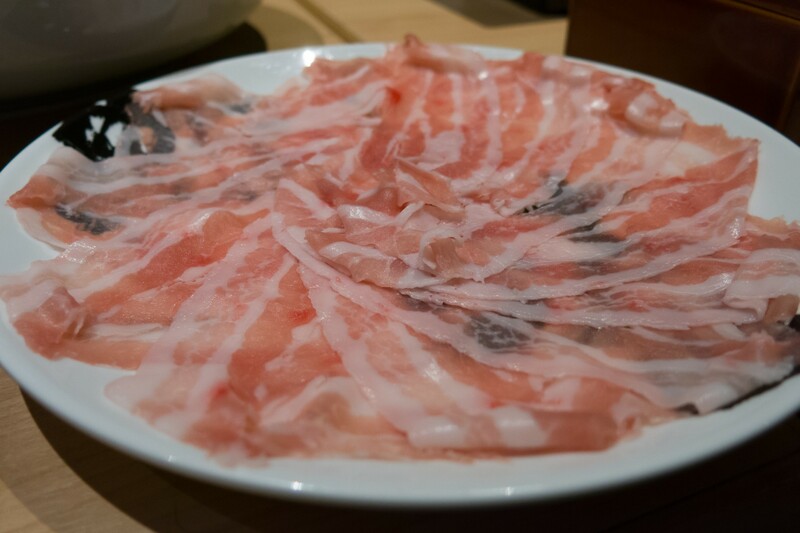 If prepared well, Shabu-shabu is usually very tender and juicy. 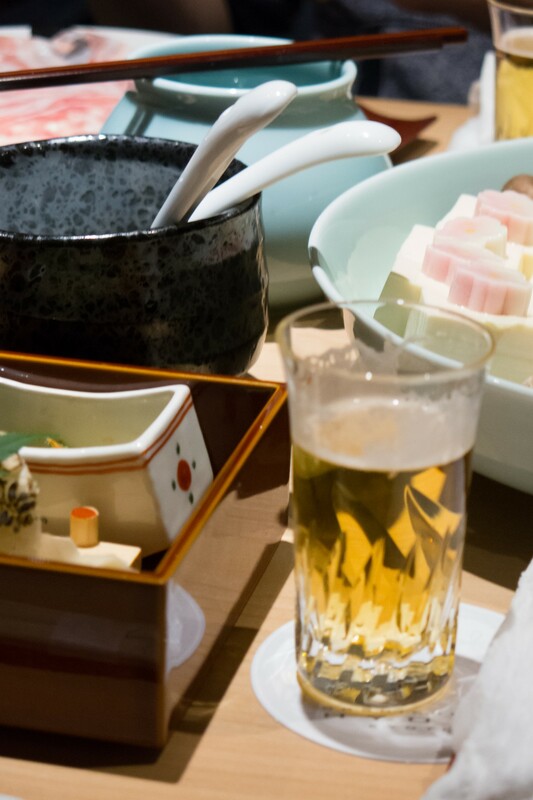 It is also related to another popular Japanese dish called “sukiyaki.” There are thousands of restaurants in Japan and around the world that serve shabu-shabu, so finding a spot to try it will be a cinch! The Japanese version of an omelet; omurice usually consists of fried rice wrapped in a fluffy whipped egg. It is then topped with a sweet ketchup sauce. If you’re an anime fan, you may be interested in trying the dish at one of the many maid cafes around Tokyo. You can even order omurice that is cooked to resemble your favorite anime character! So, what do you think? Would you try any of these 5 interesting and unique Japanese foods? We’re having another Choose One Quiz. 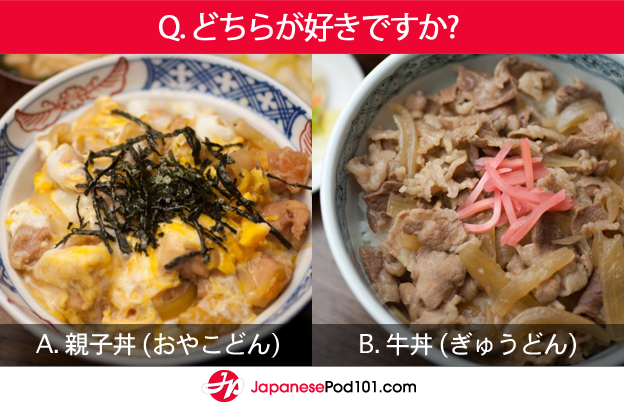 Which do you like, 親子丼(oyakodon) or 牛丼(gyūdon)? Choose one and let us know! Oyakodon Is a combination of chicken, egg, green onion and various other ingredients that is put over rice to create a rice bowl. The litereal translation of this dishes name is parent-and-child-donburi. Gyūdon is a Japanese rice bowl that uses cooked beef and onions on top of rice. The dish may also include noodles, and commonly has a raw egg poured on top of it. P.S. 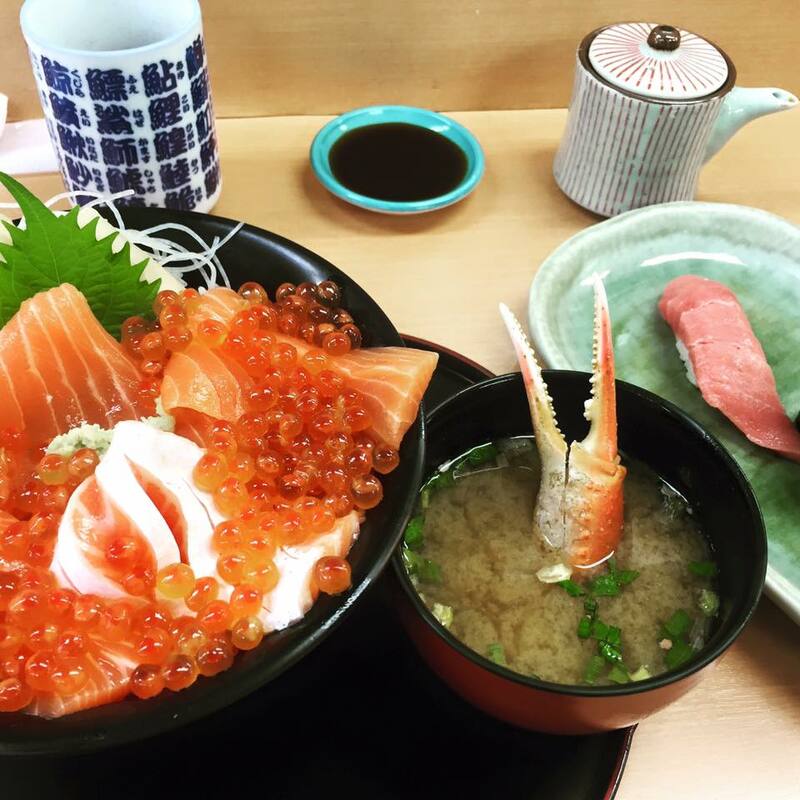 Do you want to learn more about Japanese food? Top 5 Japanese Dishes You Have to Try! Soba, buckwheat noodles, and udon, thick noodles made from wheat, are two of the most popular types of Japanese noodles. Shabushabu is a dish that uses thin slices of meat dipped in boiling water or broth, which you then dip into a flavored sauce and eat. Ramen is a Japanese noodle dish that has its roots in China. It consists of a meaty broth, noodles, shredded meat, and vegetables.